Last Sunday, April 6th, people who seemed “typical” (living in normal houses, working at every-day jobs, driving ordinary cars) demonstrated how loving God with all our hearts, souls and minds; and loving our neighbor as ourselves; (Matthew 22:37-38) makes us live our ordinary lives with extraordinary purpose. the course of the morning, hundreds of people strolled through discovering all of the incredible work being done around the world by “typical” people. As I observed the visual aspect of the fair, I began to realize it was more than people crowded into our multi-purpose room that is used for basketball games and the room designated for our children’s Sunday school. In the midst of the people gathered around tables, the conversations and stories of changed lives, I saw energy, hope and a sense of purpose. any evil, ever present ... and while those scriptures are comforting, nothing compares to seeing God’s love in action through His people living the life Jesus demonstrated while here on Earth. For me, Jesus’s life was all about being present and being a physical representation of God’s generous love. During the Ministry Fair I felt God’s love in the room- but I didn’t see an enormous God on a throne or a heavenly figure looming over the crowd. I saw God’s children reflecting His love through their actions. I saw almost 100 people physically sign up for a new area of service – offering the gift of their time to someone in need. Please visit the Servant Ministries website if you’d like to learn more about opportunities to give the gift of your time and treasures, or contact Shereen Fink at shereen.fink@broomfieldumc.org to participate in a Potter’s Plan workshop to discover your God-given talents for serving His will for your life here on Earth. Shereen Fink is the Director of Servant Ministries at Broomfield United Methodist Church. In her role she has developed a comprehensive ministry, curriculum and community service network designed to guide individuals to live purposeful lives through recognition and application of their God-given strengths. She combines her education in business management, certification in Positive Psychology coaching and extensive self-study in theology with life experiences from years in corporate environments to provide a holistic view of God's meaning and purpose for our lives. 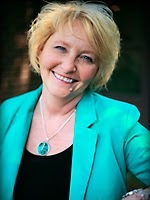 She is the author of a daily devotional book: God's Transformation for Our Lives and a devotional meditation CD.